Below is a list of the groups associated with a major in Communication Studies, click on the group photo to view each organization webpage. The Communication Studies Society mission is to give members a clear understanding of the communication field by providing networking opportunities with peers and professionals in the communication field. CSS also holds a wide array of events and service projects throughout the school year including (but not limited to), Rock for the Cure, Make the Most of Your Major, and the Dress for Success Fashion show. 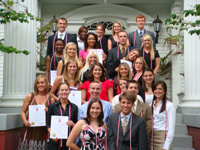 Lambda Pi Eta (LPH) is the official communication studies honor society of the National Communication Association (NCA) intent on recognizing, fostering and rewarding outstanding achievement as well as stimulating interest in the communication field. To be eligible for LPH, one must have a minimum cumulative GPA of 3.0 and a Communication Studies minimum GPA of 3.25 with at least 12 hours in the major and be in good standing with the university. 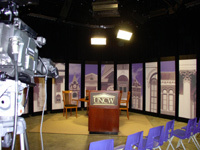 UNCW Student Media exists to provide UNCW students with hands-on experience in the art, technology and business of publishing in a variety of traditional and electronic media and to prepare students for careers in media industries, the arts, business and academia. The following groups/publications are included in UNCW Student Media; Atlantis, Flicker Film Society, Hawkstream Radio, The Seahawk and TealTV. UNCW's student-run broadcast organization, TealTV, provides students with hands-on experience in script writing, videography and video production, broadcast journalism, digital-video editing and on-camera hosting and reporting. No previous experience is necessary. 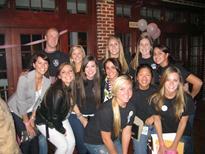 TealTV can be a valuable asset for students enrolled in UNCW's interdisciplinary Journalism Minor.